You are at Home Eatery Critique This is How The Cake CRUMBLED…Come experience a slice of cake in a whole different way! 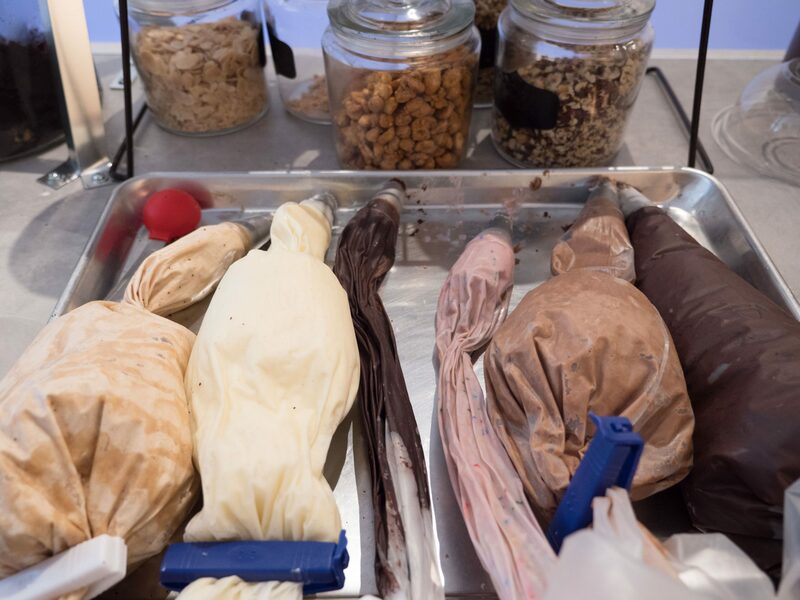 I love discovering new restaurants and cafes and I get excited when the owners of those restaurants and cafes have a cool and unique concept. 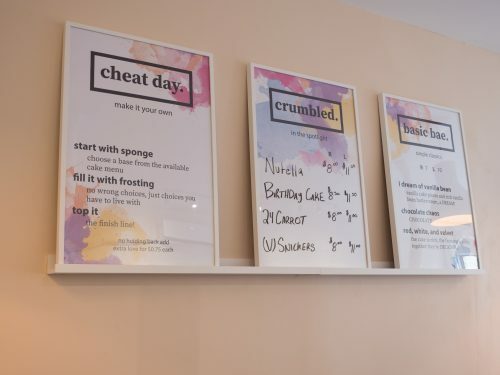 When I saw someone post about Crumbled in Hamilton, I knew I had to stop by right away! Crumbled opened only a few months ago back in November and they are already the talk of Hamilton! People are loving the new concept that the owner Dom put together which is taking cake eating to a whole new level! 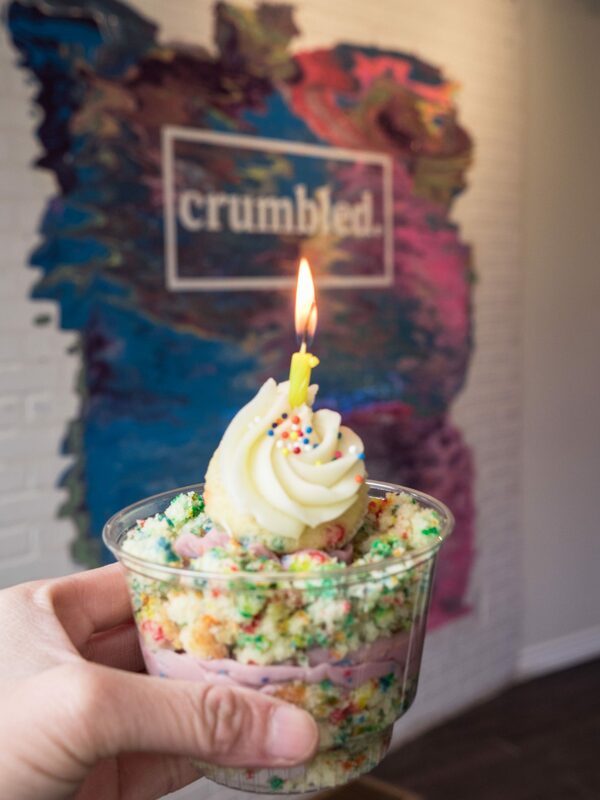 Crumbled is all about serving cake in its broken down state and served with your favourite toppings and frosting in a cup format. The concept is simple but the fact that you can customize your cake is an amazing thing! You select the type of cake base you like, add your favourite frosting and top with an array of delicious toppings to make it your own! 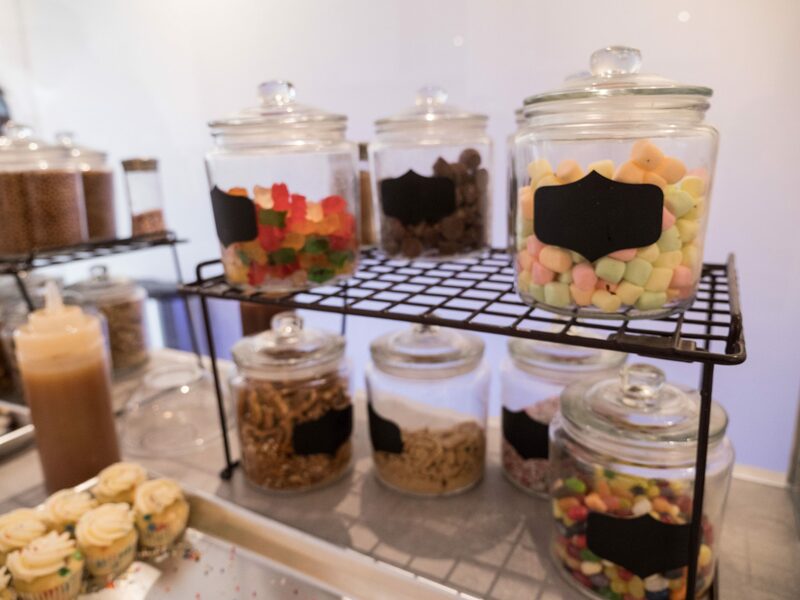 Each cup can be completely different and you can try something new every time! 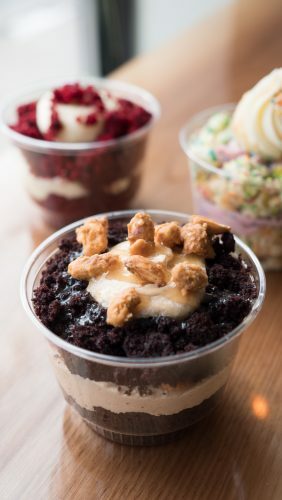 Not only can you create your own cake bowl but you can also order a cake cup off their menu if you are not in the mood to think of your own creation. Like Dom’s favourite, the Red, White and Velvet, which is their take on the classic red velvet cake! It is apart of their Basic Bae menu and is available at all times. Dom loves the cream cheese frosting and I couldn’t agree more! Count me in as a basic bae, but this cake and frosting are AMAZING! 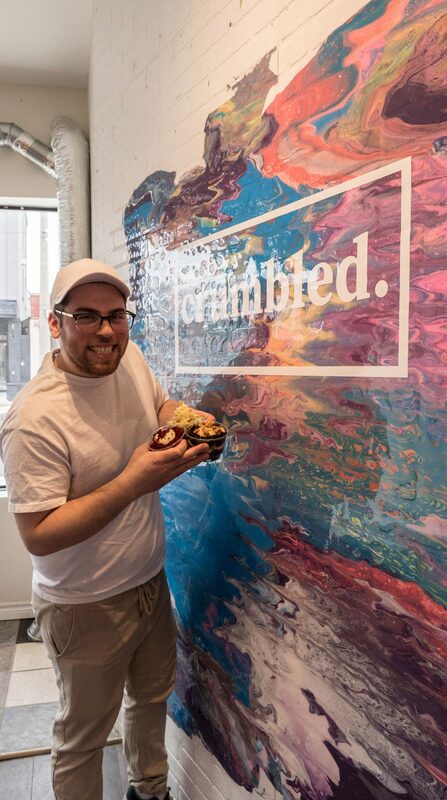 Dom have been living in Hamilton for a couple of years now and with Hamilton’s changing food culture, he decided to open Crumbled in this amazing community! 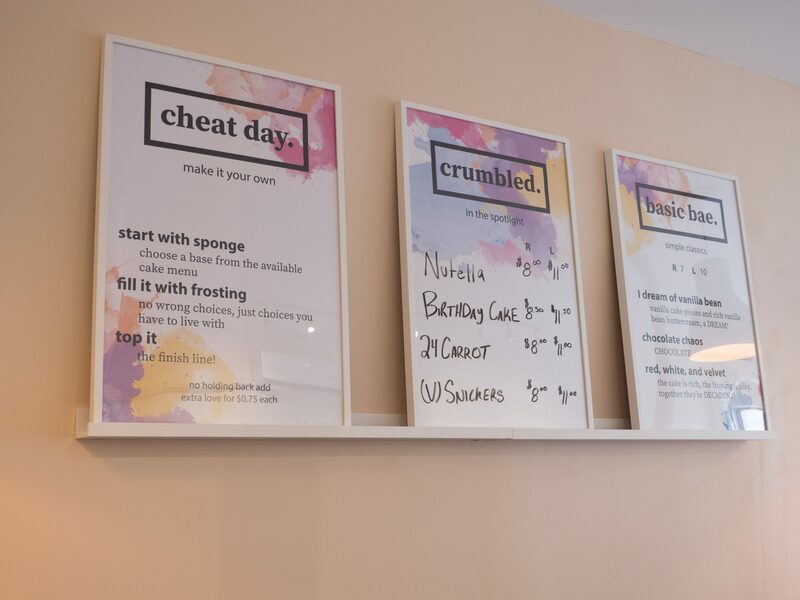 Crumbled is located on Barton Street (339 Barton Street East)! This area of Hamilton have been changing quite a bit in the last few years with some amazing food establishments popping up! 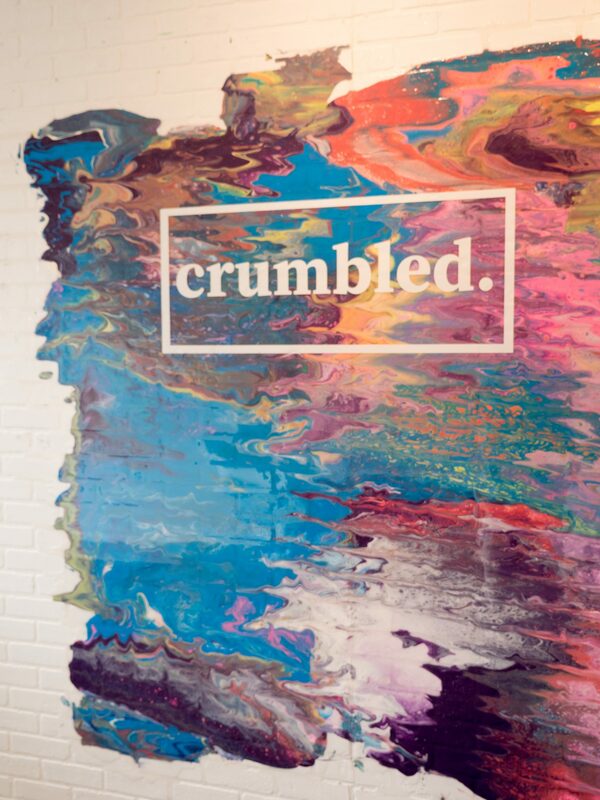 Exciting things are happening for Crumbled and they are always growing and changing (like getting brand new sittings recently). They are also always getting creative in the kitchen by trying out new recipes! Dom is also working to introduce something cool for the summer of 2019, so make sure you are following them on Instagram and Facebook so you don’t miss their announcement! 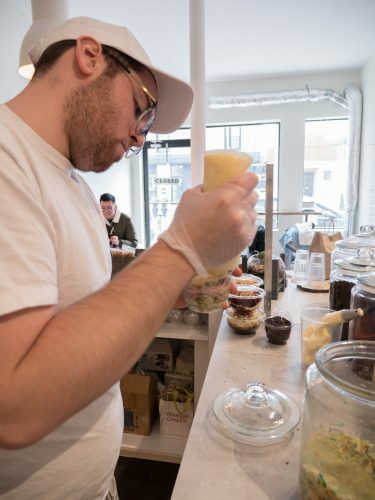 They are also working hard to add Gluten Free options and more Vegan friendly cake bowls. 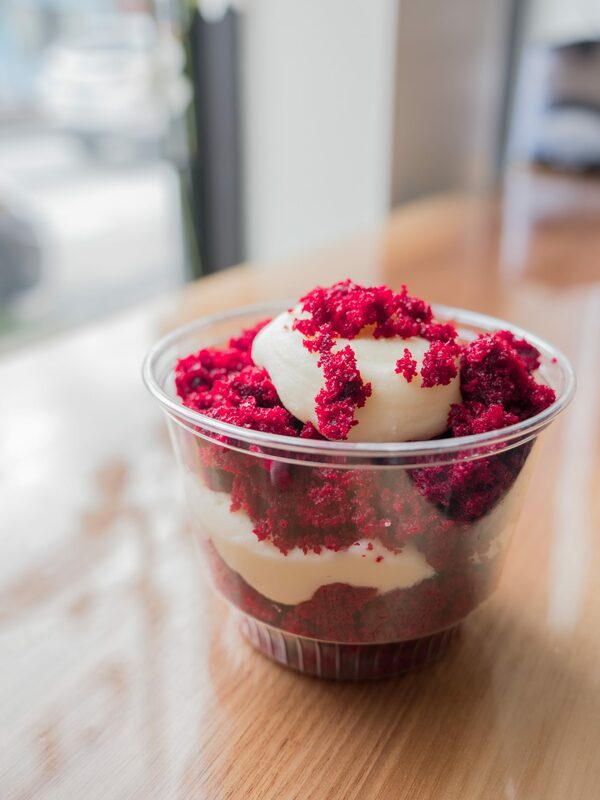 You can also order Crumbled through Uber Eats and Skip the Dishes! Have you been to Crumbled? What is your all time favourite cake? Comment below and let me know! 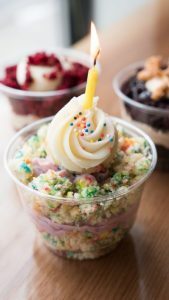 Cake cups and bowls are a brilliant idea! And being able to build your own is perfect! I wish I lived nearby! I must admit that I would not have thought of this idea of using cake crumbles in this way, but it is quite brilliant! This is a fantastic and fun idea – so many tasty possibilities! 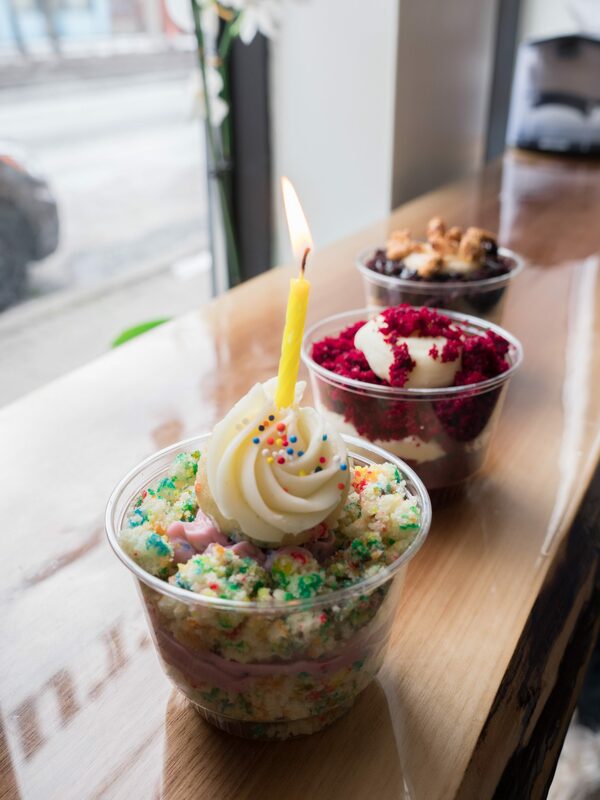 It makes me think of all the cakes that have fallen apart on me over the years – my family always says, “Just stick it together with frosting, it’ll still taste great!” I could have taken a tip from Crumbled and made adorable bowls instead. We just went today and LOVED our experience! The cake and icing combos were so tasty, and Dom was really welcoming and friendly. Love the concept.